The angels sang and opened their arms to welcome their newest and mightiest angel; our beloved mother, grandmother, and great grandmother, Rose Colosimo, who passed away peacefully with her family by her side on Monday January 7, 2019. Rose was born on October 30, 1929, in Cudworth Saskatchewan to Cornelius and Suzanne O’Gorman. As a young girl Rose and her family travelled across Canada until settling in Thunder Bay, ON. This is where Rose decided to plant her roots, and married the love of her life, Bill Colosimo on April 30, 1950. Together, Rose and Bill had many adventures and passions that they would endure for their time together. Not only did they run and establish a family restaurant, Uncle Frank’s Supper Club, they also started a family, travelled and pursued their passions. Rose was an avid skier and taught all her daughters and grandchildren how to ski, and form a love for the outdoors. You could always find Rose in her garden, the barn taking care of the horses, or shovelling the snow until every flake was gone and cruising around in her silver corvette! Rose’s love for horses was instilled into her daughters and grandchildren; she belonged to the Light Horse and Arab Horse Associations and was at every horse show making sure the girls were just right and the horses were well taken care of. Rose loved the sport of Nascar and travelling with Bill and friends annually to attend the Daytona 500. She never missed a Sunday Race! Rose had many passions, but most of all she was a family woman. Rose took great pleasure in making sure her family was taken care of. She always had an open door and would welcome family, friends and neighbours into her home at any time. Rose was a strong willed woman who is a great example to many people. Rose will be missed and always remembered for her stories, adventures, friendship, unconditional love and support she gave her family and to those who knew her. Rose leaves behind her daughters and their families; Susan Pugliese (Mark), Willy Lacey (Lorne), and Emma Colosimo. Her grandchildren, Billy Pugliese (Tara), Omaha Nebraska; Jolene Pugliese - Jarzebinski (Robert); Katelyn Lacey (Kris McNeill); Cheri Prior (Troy) Powassan ON, and Kayla Hall (Cordell Winiata) Australia. Also surviving are her precious great grandchildren, Ava, Leah and Will Pugliese – Omaha Nebraska, and Marcus Jarzebinski. As well as sister in laws, Norine Carroll and Llona O’Gorman (Alberta), brother in law Donald Colosimo (Denise) and many nieces, nephews, cousin and friends. Rose is predeceased by her husband of 60 years, Bill Colosimo, her parents Cornelius and Suzanne O’Gorman, brother Casey O’Gorman, brother Dan and sister in law Ariella O’Gorman, sister Nora Ostrum and brother in law Ernie Ostrum, and sister Cornellia Molyneaux. In laws Frank and Emma Colosimo, brother in law Larry Carroll and Frankie Colosimo, sister in law Jean Colosimo and son in law Billy Hall. As per the wishes of Rose there will be no formal funeral at this time and cremation has taken place. An Interment will follow at a later date at Mountain View Cemetery where Rose and Bill will come together. The family would like to take this time to thank St. Joseph’s Care Group and the doctors and nurses on 2 north for their exceptional care, their support and condolences. In lieu of flowers Rose would appreciate donations be made to St. Joseph’s Care Group or the Thunder Bay Humane Society. 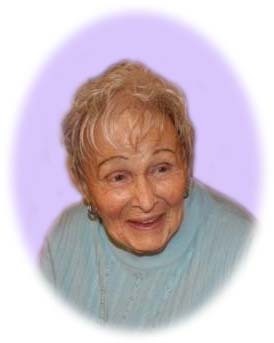 Rose Colosimo will be remembered in the Blake Funeral Chapel Memorial Grove. Annual dedication service Sunday, June 14, 2020.